Buying a new car is a big deal, which is why it makes some people a little nervous. Many people believe that car dealers and salesmen in general only care about making a sale, so they worry about getting a good deal when they go shopping for a new car. Fortunately, most car dealers are honest and they work hard to make sure you’re completely satisfied with your purchase, especially when you buy from a dealership. The future of these dealers depends on their reputation. They want you to be happy with the vehicle you choose and they strive to provide great service to make the car buying experience a good one. They want you to tell your friends and family about them and send more business their way but that won’t happen if you’re unhappy with your purchase or if you have a bad experience. If you find car shopping to be a stressful experience, don’t avoid buying a new car. Instead, look for ways to reduce the stress. You can turn buying a new car into a good experience with the following tips. Taking time to do your research will help you determine which vehicle is best suited for your needs and you can learn about the different features offered by the manufacturer but that’s not all. You can also learn about the market value of the vehicle, current rebates, warranty options and current interest rates. Doing your research makes you an informed shopper and that will help you prepare for your day of car shopping. 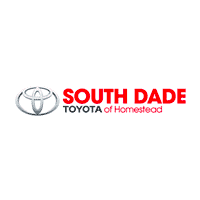 You’ll know all the right questions to ask when taking to your Toyota dealer in Miami and when you visit us here at South Dade Toyota, it will help us serve you better. When you’ve done your research, you’ll feel more confident and that will make buying a new car more enjoyable. Once you’re ready to go shopping for a new vehicle, it’s natural to want to drive off the lot with the car of your dreams. However, if you get in too big of a hurry you may end up having doubts later and wonder if you really did make the right decision. Sometimes, it’s best to gather all of the details and then take a few days to go over the information before finalizing the deal. Any specials the dealer is offering will be available later, unless you happen to catch the end of a promotional offer, so never feel pressured into making a quick decision. If you’re still feeling a little nervous about going shopping for your new vehicle, take someone with you. Having someone to confer with can help you feel more confident and make the shopping experience more pleasant. They can also offer their opinion and help you determine if you’re getting a good deal, just make sure it’s someone whose opinion you trust. These tips can help you feel more confident and make shopping for a new car a pleasant experience that you enjoy instead of something you dread.